Some State of Missouri websites can be translated into many different languages using Google™ Translate, a third party service (the "Service") that provides automated computer translations of web pages. The Google™ Translate Service is offered as a convenience and is subject to applicable Google Terms of Service. Providing the service as a convenience is not an endorsement of the product or the results generated and nothing herein should be construed as such an approval or endorsement. The content of State of Missouri websites originate in English. If there are differences between the English content and its translation, the English content is always the most accurate. By selecting a language from the Google Translate menu, the user accepts the legal implications of any misinterpretations or differences in the translation. As Google's translation is an automated service it may display interpretations that are an approximation of the website's original content. You should not rely on Google™ Translate to provide an exact translation of the website. There are circumstances where the service does not translate correctly and/or where translations may not be possible, such as with certain file types, video content, and images. In addition, some applications and/or services may not work as expected when translated. The State of Missouri has no control over the nature, content, and availability of the service, and accordingly, cannot guarantee the accuracy, reliability, or timeliness of the translation. Neither the State of Missouri nor its employees accept liability for any inaccuracies or errors in the translation or liability for any loss, damage, or other problem, including without limitation, indirect or consequential loss or damage arising from or in connection with use of the Google™ Translate Service. Google Translate will not translate applications for programs such as Food Stamps, Medicaid, Temporary Assistance, Child Care and Child Support. Andrew, Atchison, Buchanan, Caldwell, Clinton, Daviess, DeKalb, Gentry, Grundy, Harrison, Holt, Livingston, Mercer, Nodaway, and Worth. Adair, Audrain, Benton, Boone, Callaway, Camden, Chariton, Clark, Cole, Cooper, Howard, Knox, Lewis, Linn, Macon, Maries, Marion, Miller, Moniteau, Monroe, Morgan, Osage, Pettis, Phelps, Putnam, Ralls, Randolph, Saline, Schuyler, Scotland, Shelby and Sullivan. Jackson, Johnson, Lafayette, Platte, and Ray. Barry, Barton, Cedar, Christian, Dade, Dallas, Dent, Douglas, Greene, Hickory, Howell, Jasper, Laclede, Lawrence, McDonald, Newton, Oregon, Ozark, Polk, Pulaski, Shannon,St. Clair, Stone, Taney, Texas, Vernon, Webster and Wright. Bollinger, Butler, Cape Girardeau, Carter, Dunklin, Madison, Mississippi, New Madrid, Pemiscot, Perry, Reynolds, Ripley, Scott, Ste. Genevieve, Stoddard and Wayne. You have the right to a hearing if you have applied for or are receiving Financial Assistance, MO HealthNet, or Food Stamp Benefits. Learn more about your rights. If you wish to register to vote, please download and complete the Voter Registration Form and return it to your local FSD office. This has no impact on your application or continued eligibility for assistance. What is an Authorized Representative? Video of What is an Authorized Representative? ¿Qué es un representante autorizado? 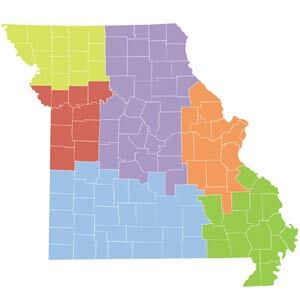 Missouri Department of Social Services is an equal opportunity employer/program.